These gorgeous dark blue denim jeans by Grace in L.A. are full of jeweled stones on the back and front pockets. 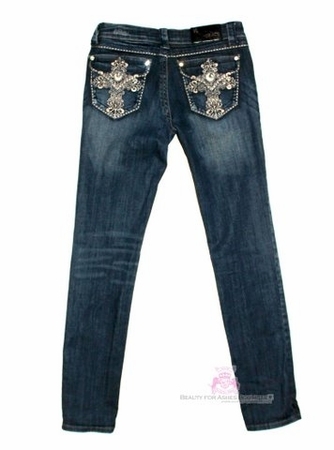 A beautiful filigree cross design with a satiny taupe stitching fills the back pockets. 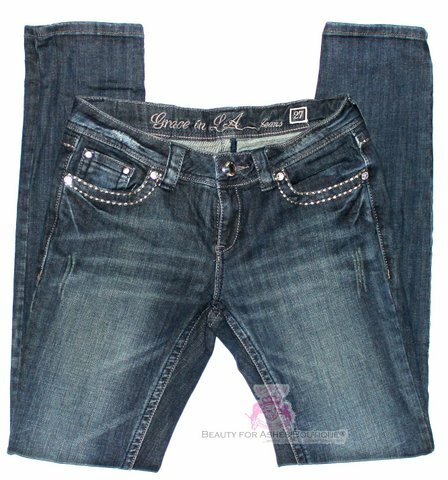 A nice stretch fabric with a slightly distressed look make these jeans not only flattering but comfortable. The inseam on these skinny fit jeans is 31.5 inches long.